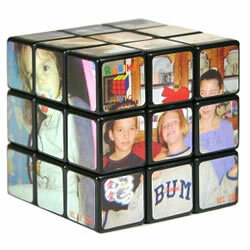 Personalized Rubik's Cube: Family Photos + Arcane Game = Fun? Who hasn't wasted hours of their life trying to solve a Rubik's Cube? An online service is now offering to put any picture (I see no rules against racy photos) on a Rubik's Cube for your enjoyment.  The pictures need to be at least 300 dpi in size with a recommended resolution of 900x1500 pixels. Then, after a short wait, you get your personalized Rubik's Cube delivered right to your door, initiating the long battle of trying to put Grandma back together again. A simple concept to be sure, but think of all the revenge opportunities presented by this Cube. Why not give one to one of your co-workers whom you hate with a picture of him/her cheating on their spouse? The possibilities are pretty much endless here.